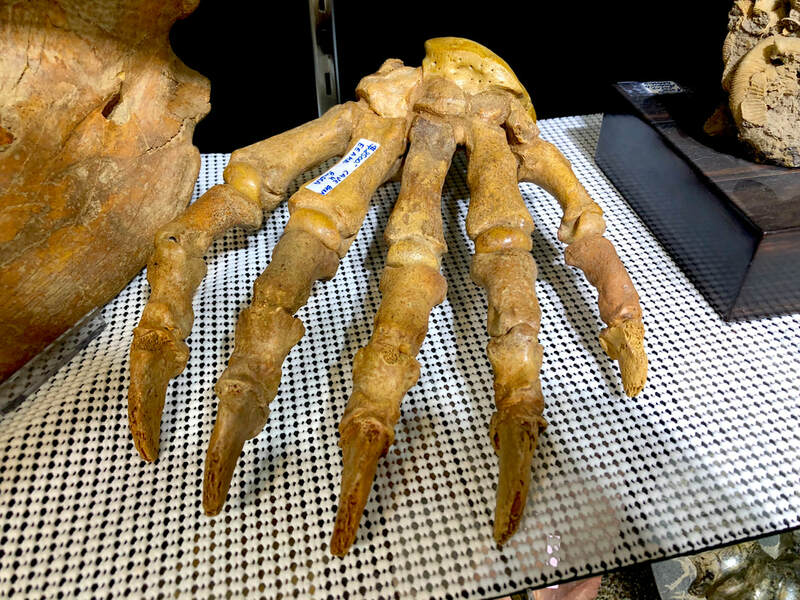 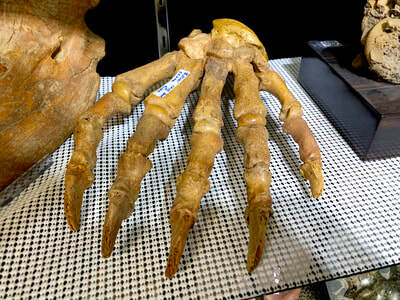 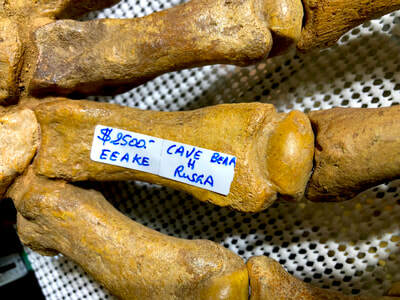 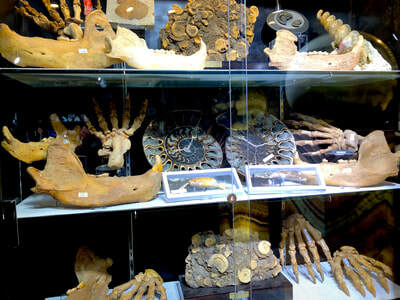 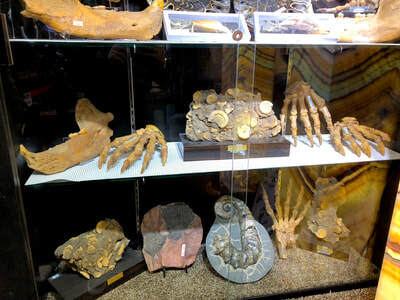 Pirate Gold Coins Treasures of the Jurassic presents this Spectacualar Cave Bear Paw of museum quality! 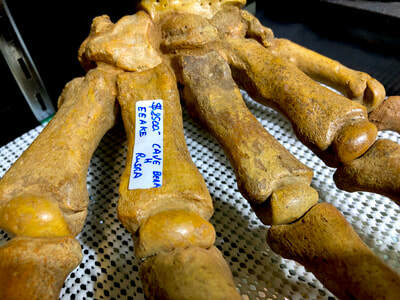 The Cave Bear (Ursus spelaeus) was wondering the earth between 300,000-100,000 Years Old during the Pleistocene Era. 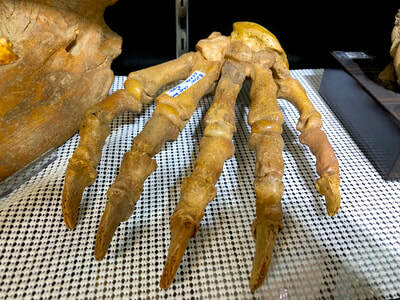 These bears stood in excess of 3 meters tall when they stood on their hind legs, making it easy to understand why our ancestors revered them. 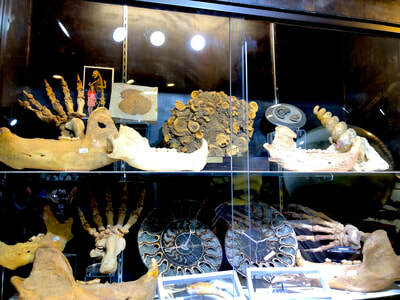 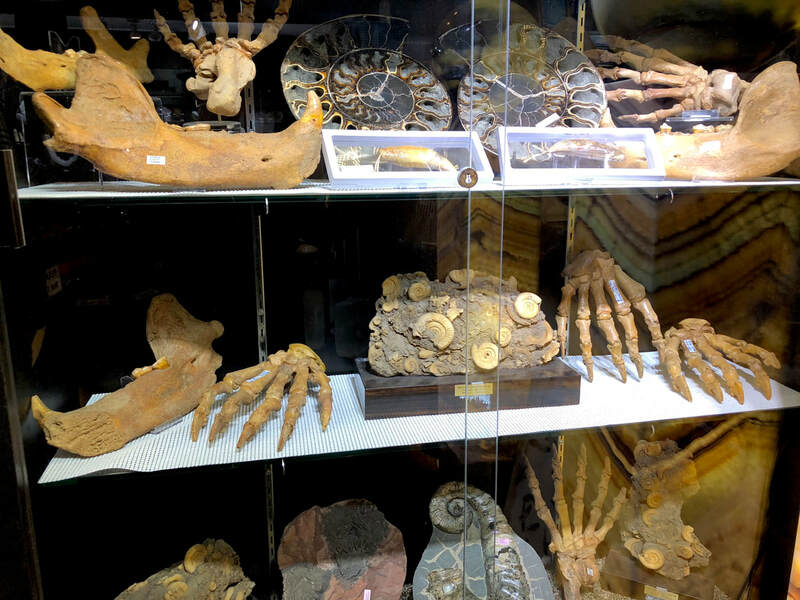 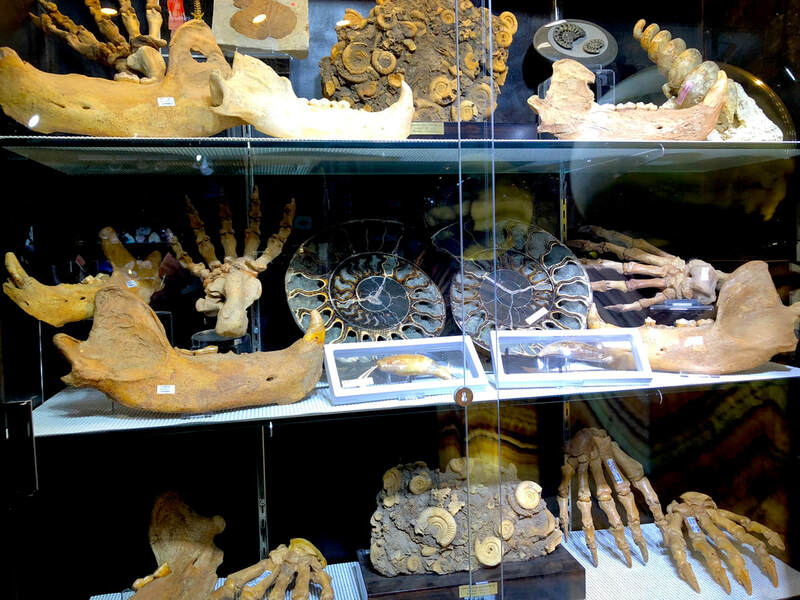 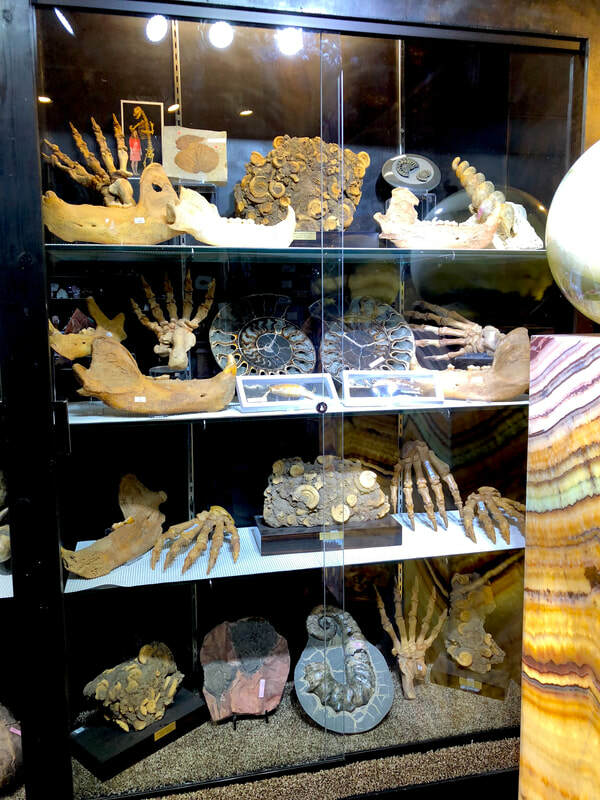 Most of these fossils were found in caves.